We all know by now that kale is a “superfood”. But aphids have known it for a long time! They just love to chow down on your kale. If your kale has an aphid problem you are unlikely to fully eradicate them. But there are things you can do to keep their population under control. 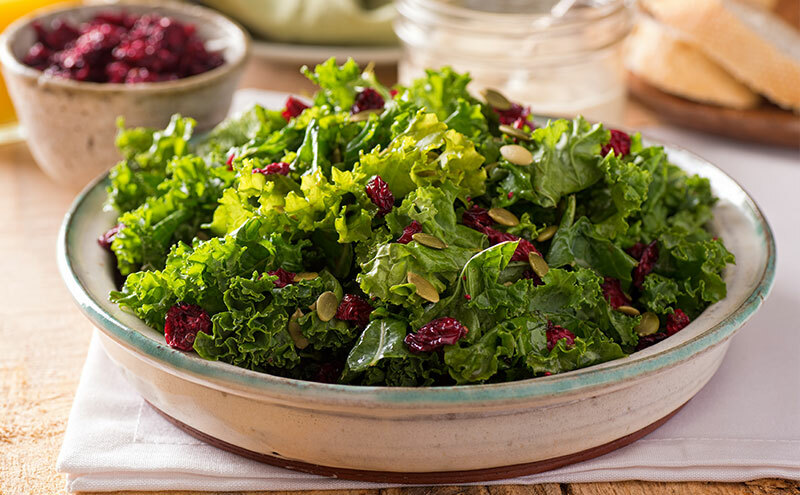 You can blast your kale with a strong jet of water from your hose. This will knock off some of the aphids from the plant. The problem is, with kale is there are so many places to hide. You’re not going to be able to remove them all. Knocking them off does help to protect the kale a little. But with water alone, you will be fighting a losing battle. Also, be careful not to overwater your plant while you are doing this. Try chopping up tomato leaves and leaving them to soak in water for 24 hours. Remove the leaves and them put the tea in a spray bottle. You can then spray your kale with the tomato leaf juice. The tomato leaves contain toxic alkaloids that will kill the kale aphids. The tomato plant is actually producing these compounds to protect itself against bugs. By chopping up the leaves you release the chemicals into the water and it becomes an effective cure for kale aphids. Take a little dish soap and mix it with water to make a spray. It’s a good idea to combine the tomato leaf juice with a little soap into 1 spray, and that’s what I’ve found to be the most effective natural way to combat aphids on kale. Spraying your kale with this soapy water will stop the kale aphids from being able to breathe. It will also make your kale taste bad for them too. The bitter taste of the soap will stop aphids from returning for a little while so it protects in the medium term too. A single ladybug eats 50 aphids every day. That’s the type of alliance you want in this situation. 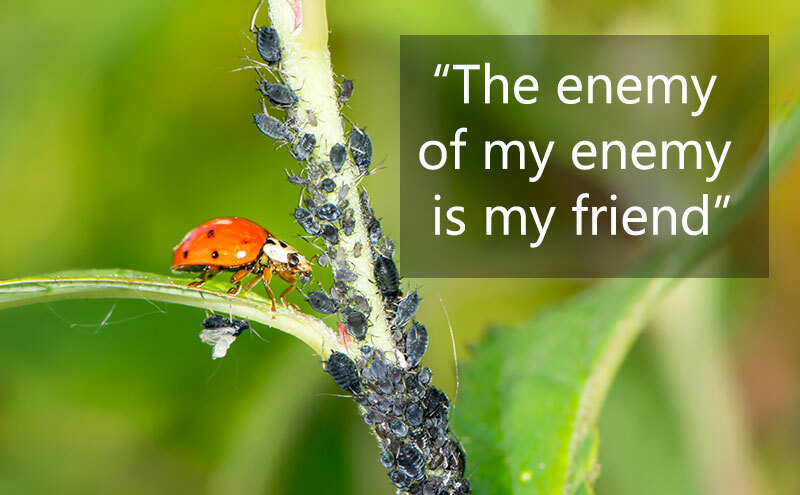 Well, ladybugs are not your friend. Ladybugs are mercenaries, they won’t fight for free. So if you want them protecting your kale you’re going to have to feed them. You can buy ladybugs online but unless your garden is a place that ladybugs like to live they won’t stick around after you release them. Since you’ve got an aphid infestation that’s a good start. You’ve got plenty of those tasty aphids that they love to eat. But ladybugs also need pollen to survive. The best solution is to create an environment that ladybugs will find and move into naturally. You can also boost the population and they will have everything they need to stick around. Sometimes people create a garlic spray to kill aphids. But garlic sprays can kill your ladybugs too so they are best avoided in this instance. Kale actually grows very well indoors and it’s probably the best way to avoid aphid problems altogether. You can grow them from seed and then move to a larger pot. They need about 4 hours of sun per day and do well next to a south-facing window. But keep them away from extreme heat and move them away from the window if it’s getting too hot. If you don’t like the look of kale and prefer to hide it away somewhere you can use grow lights too. Hopefully, that gives you some ideas of what to do about aphids on your kale. Remember to wash your kale before you eat it! And by the way don’t worry, if you accidently eat an aphid it won’t kill you. I’ve actually heard they are quite tasty!